So today was the first time I went into work to do anything but work on Strawberries. We started at 7:30am, both with a bit of a sore head form yesterday. Greg and I took all the kit down to the Pineapples patches on the other side of the farm, across the creek to the strawberries. My job was to pack the pineapples on the picking tractor, as Greg walked through the patch picking off and 'topping' the pines. Although all I was doing was packing the fruit into big 'bins' as they came up the boom and spraying them with herbicides, I quite enjoyed it. It was good to learn something new, and being out in the pineapples rather than strawberries was a nice change! In the end I think we picked between 3-4 tonnes of fruit in about 6 hours, which is pretty good going.. You definately knew you had done it by the end due to your body aching. It turns out its a very good way of shrugging off a hangover, as you just sweat it out - I was fine by 9am. We (but many I) were lucky it was a cloudy day with a bit of a breeze, keeping the temperature down - it was 24 degrees today, and they say that when it's sunny, it feels 10 degrees hotter in the pines than otherwise.. Something to do with the way the heat reflects off the plants makes it much hotter.. It did feel a bit warmer than 24, but if it had been sunny all day I would have been suffering! We ended up finishing picking the patch about 2pm, so I had another early day. I got home about 2:30pm, had a shower, then Fenella dropped me back at work to pick up my car, I had left there yesterday afternoon. I spoke to Charlie down at the surf camp again this arvo. Everything seems to be going well with those 3 - they are making a bit of money via teaching their lessons, but I think really they are just enjoying being back at the faimilarity of the camp. Plus they are able to surf more again now.. Charlie seemed to be pretty excited for me doing the road trip actually which was cool, plus I will be able to drop in and seem them again at the camp. 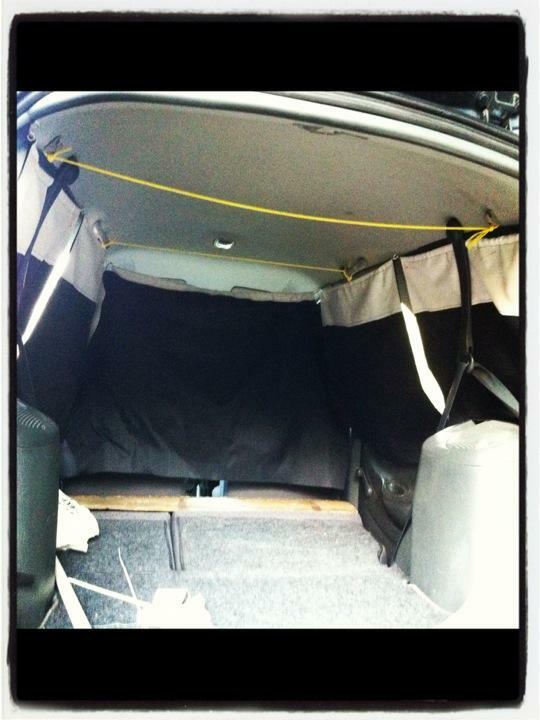 When I got my car home I finally managed to finish the curtains! They most definitely are not professional quality, but they will do the job. Now that they are sorted, I can start thinking about kitting it out with all the other bedding etc..
Later on I filled out some of the paper work, and printed off the rest, for my 2nd Holiday Working VISA. I will take that into work when I go tomorrow for my last day, then Greg can sign it all off for me! This evening after dinner we watched the finale of Farmer Wants a Wife...obviously very exciting stuff! I went to bed about 10pm, and I can tell already getting up will be a chore tomorrow!